To Purchase Lottery Tickets Click Here! Welcome new member Joe Sullivan!! 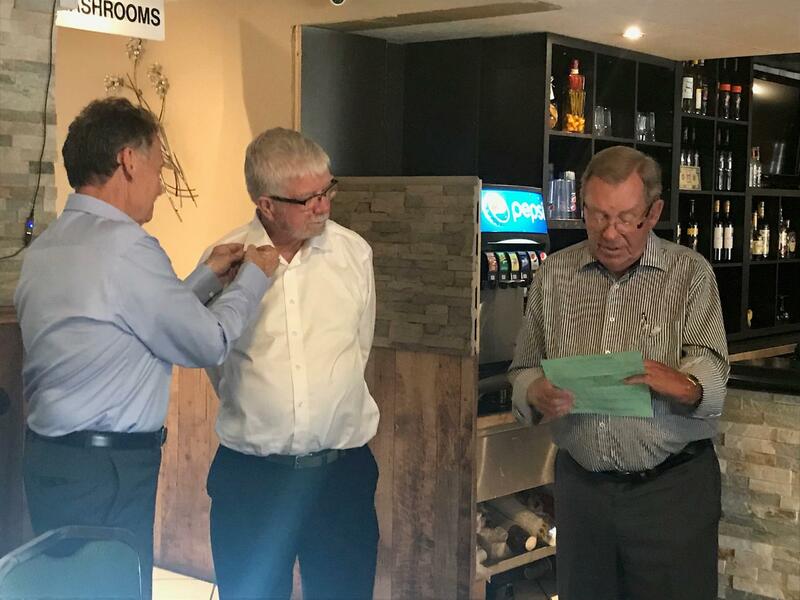 Our club was very pleased to have Joe Sullivan inducted as our newest member at our meeting on October 23, 2018. Joe was sponsored by Drew Annable, and participating in the induction was our Assistant District Governor Nancy Lovelock and President Geoff Faul. Welcome new member Stan Waring! 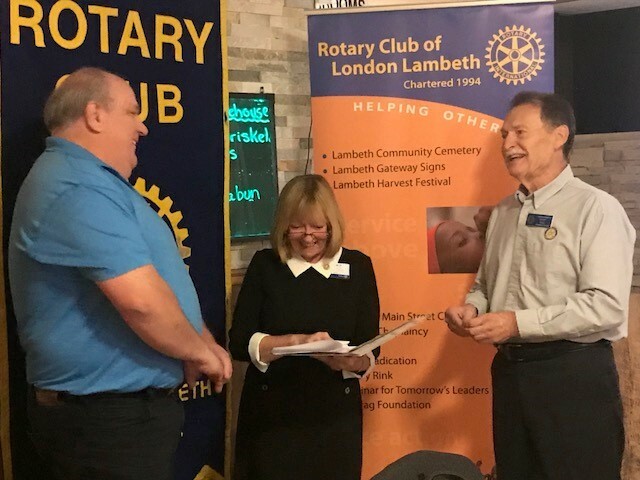 Stan Waring was welcomed into the Rotary Club of London-Lambeth on August 14, 2018! We were lucky enough to have our esteemed past DG Doug Burnard in attendance to perform the induction along with Club President Geoff! 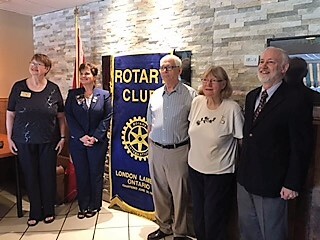 At our regular club meeting on July 24, the members and guests were treated to an update talk from L'Arche London's executive director Marietta Drost. Marietta provided the Club with information about the activities taking place in the new Lambeth Gathering Place, including the Thursday morning Café that all are welcome to visit. 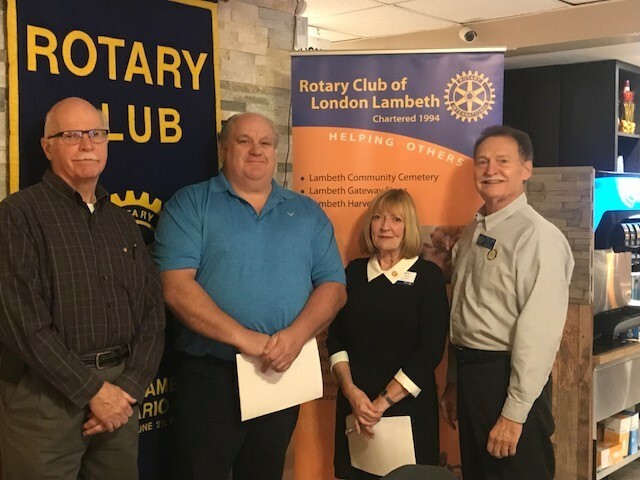 Club President Geoff Faul, and indeed the entire club, was pleased to present a cheque to L'Arche London for $1,000 in order to assist with improvements to sound baffling systems being installed. The Club had previously supported L'Arche with a $1,000 donation for the first part of those meeting room improvements, which had been successfully carried out through a combination of supporting donations, some hired know-how, and considerable volunteer effort to install. And we are pleased to help again now! 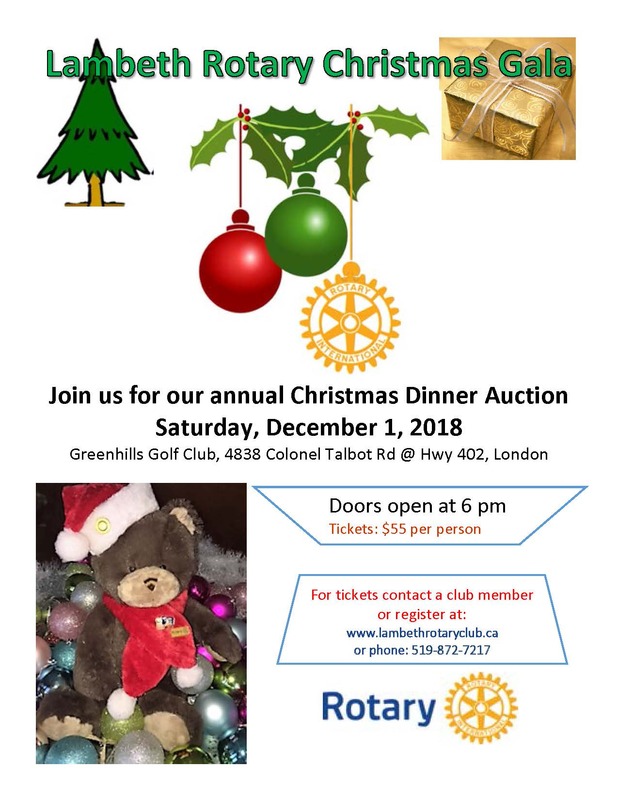 President Geoff Faul's report on the year and reorganization of our Club as well as naming the Rotarian of the Year and recognizing a community Paul Harris recipient. The following people have receive either their first or an additional Paul Harris Award in 2017. Duncan Hobbs received a Paul Harris award for his support of our Wine and Food Fund raising event in the spring and his donation to our clubs projects. Leroy Poole was Honoured at our 2017 Presidents Dinner for his long service to the community. 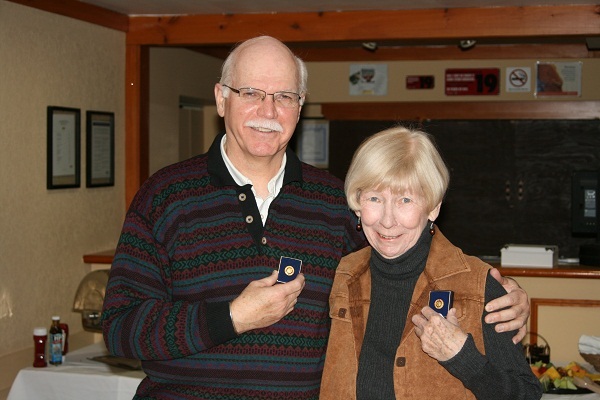 Sheila Wilkes, Moneta Little, Mike MacKinnon, Drew Annable, Hope Evenden, Eric Auzins, and Don Crawford, all received a multiple Paul Harris Awards for their contributions to Rotary. Martin Ward, District Governor Elect, inducted to 2017-18 Lambeth Rotary Board of Directors. This makes the end of Jennifer McQueen’s year as President. We celebrate by honouring two community members Pam Batzold and Lee Stitt with Paul Harris Fellow for their generous contributions to the community (see separate story) and Andrew Thomson with a Certificate of Thanks for his contributions to our Club. 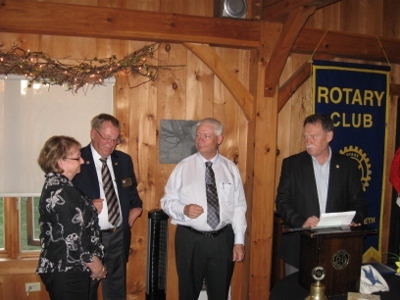 Our Rotarian of the Year, David Brent, was also honoured with a Paul Harris Fellow for his involvement this year. Andy Thibodeau was the guest speaker and he entertained and motivated us with his “Share Your Care” talk. Our AG Sue Store installed our 2017 President, Charles Mossman, and his Board of Directors. 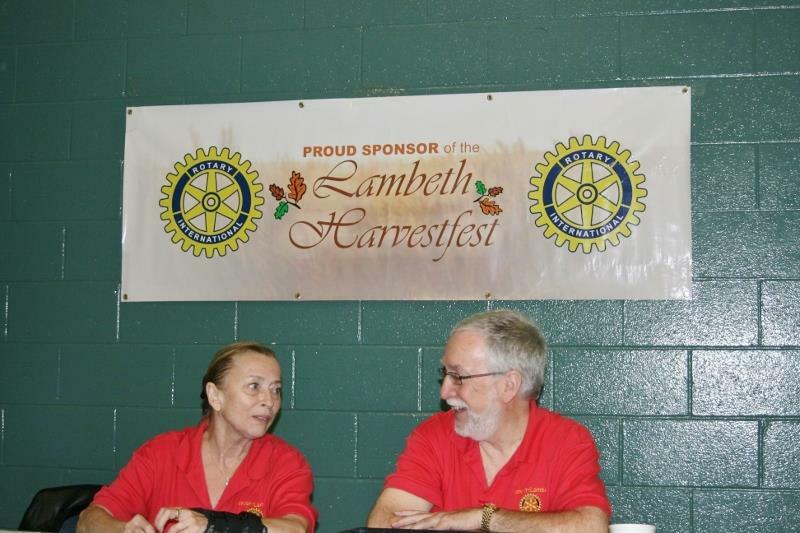 The members of this small but mighty Rotary Club of London-LAMBETH, look forward to this coming year with enthusiasm. 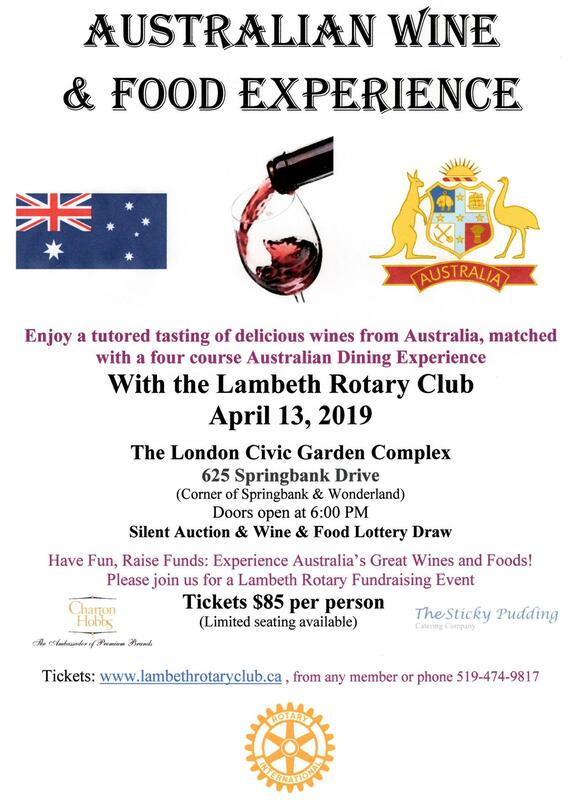 Each year Lambeth Rotary honours a community member for his or her contributions to the community. 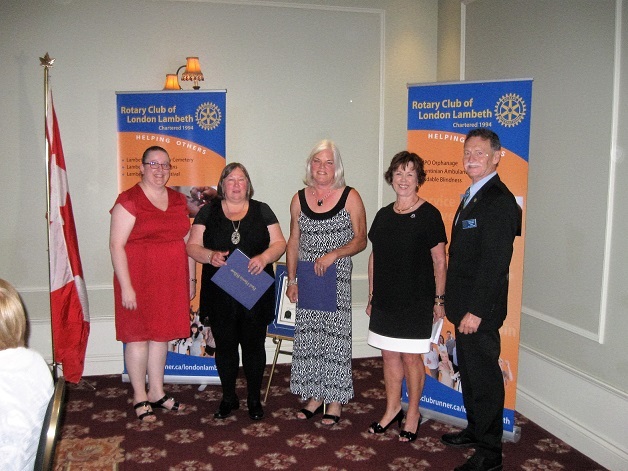 This Year we honour two members Pam Batzold and Lee Stitt. Lambeth Rotary Club presents Dictionary to all grade students at: Arthur Stringer P.S., Caradoc P.S., Lambeth P.S., Jean Vanier, Antler River School. 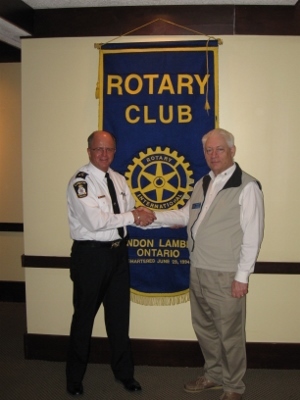 Chief Duncan described Policing in London and the challenges that are faced by our community. London is a relatively safe city but we do have to an extent all the concerns of larger cities. He emphasized that an ever increasing amount of police time is spent on dealing with citizens with mental problems. Policing is a vital part of a cities needs and London’s Police force is one of the best. 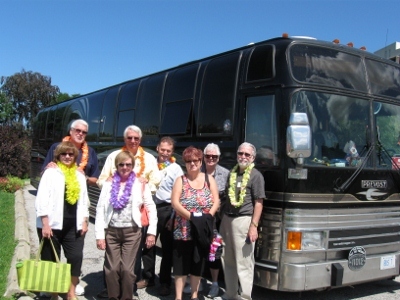 Southdale Chapliancy is one of the efforts that we support. Their directors are pleased to announce that on January 28, 2013 the Boards of Directors of the Limberlost Chaplaincy and the Southdale Chaplaincy unanimously agreed to unify effective April 1, 2013. 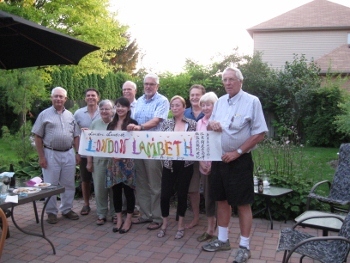 At that time, the new organization will be called the London Community Chaplaincy. 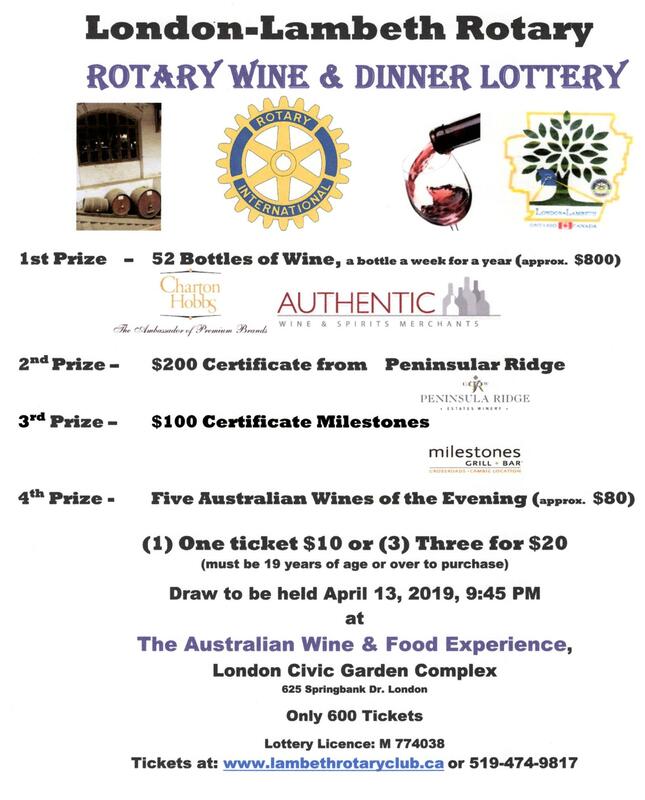 The Rotary Club of London-Lambeth is pleased to present Ethel Annable with a Paul Harris Fellowship for her contributions to the Community, her Church and our Club. 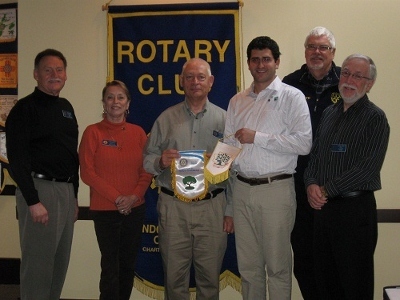 A brief overview of what Rotary is and how it is organized. To register for an event click on the event in "Club Events" and follow the instructions. You will have a choice of purchasing one or two tickets at a time. Please complete all section of the registration form. We accept Visa or Master Card for payment. Tickets will be mailed, if time, or be available at the door of the event.